Editor’s Note: This piece is the eighth of a series looking back at the most important point of some teams’ 2014-15 season. This year, Cal baseball progressed dramatically from its past few seasons en route to its first postseason victory since the team’s 2011 College World Series run. 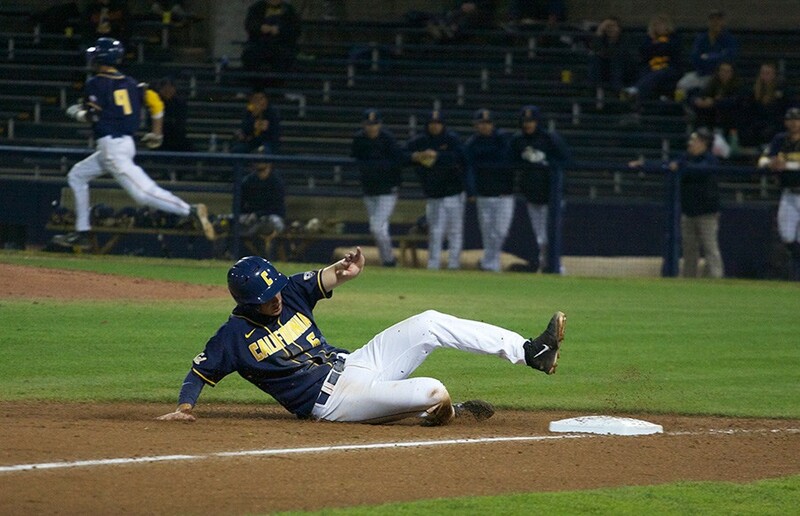 As important a milestone as the 9-3 win against Coastal Carolina was for Cal baseball, the team’s season ended in heartbreaking fashion against Texas A&M, when the Bears snatched defeat from the jaws of victory in the series. The third-seeded Bears may have entered the College Station Regional against the second-seeded Coastal Carolina as underdogs, but the team left no doubt about its ability to compete at a high level. Sophomore right-hander Daulton Jefferies gave up only one earned run on three hits in seven stellar innings, which allowed Cal’s hitters to take center stage and blow the Chanticleers out of the water. Junior catcher Mitchell Kranson was the most consistent performer among Cal’s bats and provided a three-for-four performance with two RBIs to lead the Bears to an offensive surge that saw six Bears drive in runs on 13 hits. The team’s nine-run outing included an early 1-0 lead for the Bears. Cal scored in the second inning and never looked back as the team continued to separate itself from Coastal Carolina over the course of the game that led the Bears to a matchup against top-seeded Texas A&M. The Bears once again entered as heavy underdogs, but the team clawed its way to a way to a thrilling 2-1 walkoff victory in its first matchup against the Aggies. The Aggies took a 1-0 lead in the first inning, which they held until the seventh inning. At that point, then-senior infielder Chris Paul tied things up with a single to score right-fielder Devin Pearson. The teams remained deadlocked in a 1-1 pitching duel until the 14th inning, when Kranson decided to end things by himself with a solo home run to put Texas A&M in a win-or-die situation. In its next matchup, Cal found itself two outs away from advancing out of the regionals against Texas A&M with a 3-2 lead in the ninth inning. But an RBI double from Ronnie Gideon scored Logan Knottebrok and tied the game. The Aggies gave Cal a taste of its own medicine in a 12-inning victory that put Cal in a must-win situation for their final matchup. 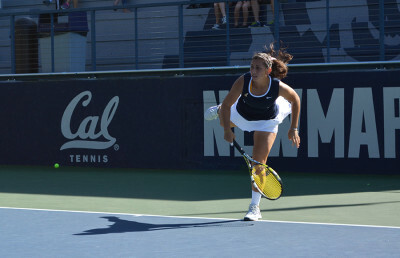 The rubber match of what ended up being a three-game series between the teams lacked the heroics and intensity of the first two matchups, as — aside from Cal’s momentary 1-1 tie in the top of the seventh inning — the Aggies held the lead throughout and stymied Cal’s offensive attack to allow only five hits. 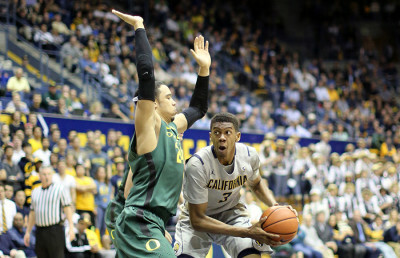 The disappointing loss ended Cal’s season and the potential for a storybook postseason run. The takeaways from this season are still mostly positive for the team. The Bears’ 36 wins this season were the most the team has had in a season since 2011, and despite the disappointingly bitter ending, the postseason run marked the team’s best outing since its College World Series appearance and a return to relevancy for the program. 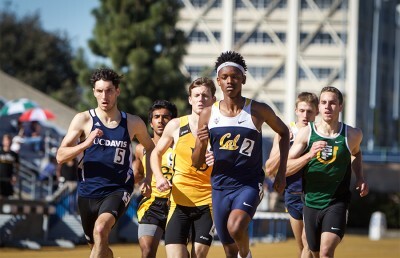 Led by promising talents, such as Kranson, Cal hopes to show that it can replicate its success in the 2015-16 season and continue to keep the team on its overall upward trajectory to help the Bears remain in the national conversation. Shiktij Dave is a sports reporter. Contact him at [email protected].